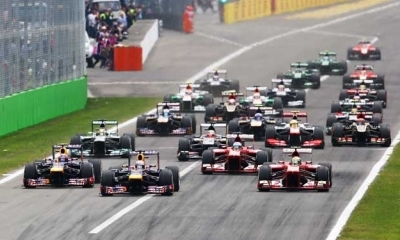 In 2019 Hockenheim will host the German round of the F1 Championship. The Hockenheim Grand Prix circuit is well loved by spectators with an excellent stadium complex with big grandstands high over the track for superb views. It is fast too, like Monza, and very demanding on the Formula One drivers. The Sudtribune offer views of the final few corners of the circuit before the cars power away towards the Start/Finish Line. The Nordtribune is situated facing the circuits first corner so you’ll see the cars power down the home straight towards you and then away as they head off into the lap. A great spot for the start of the race as all the drivers try to squeeze through together. 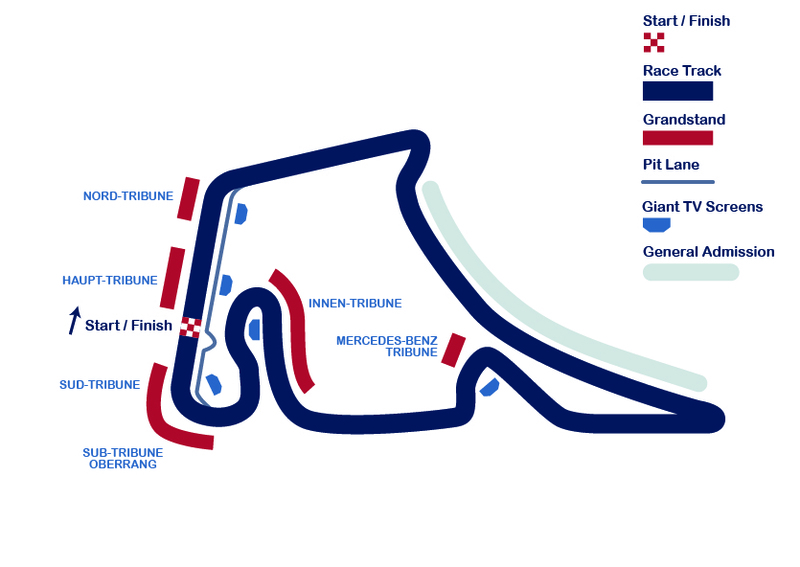 The Haupttribune is Hockenheim’s Start/Finish Line Grandstand offering views of the grid, pits and podium. Always a popular choice of spot from which to take in the action. The Haupttribune is a covered Grandstand. Hockenheim’s Category 1 Grandstand is the Upper Tier of the Sudtribune. From this elevated position there is a very wide view of lots parts of the circuit. The Sudtribune Upper Tier is a covered Grandstand.